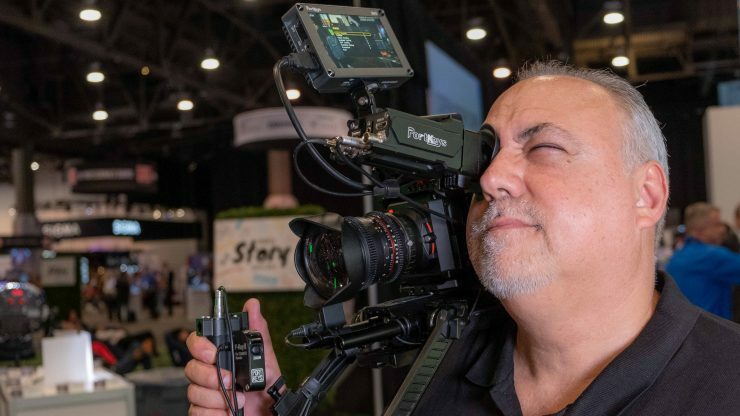 Portkeys is showing their new OEYE-3G EVF at NAB and it looks pretty good. 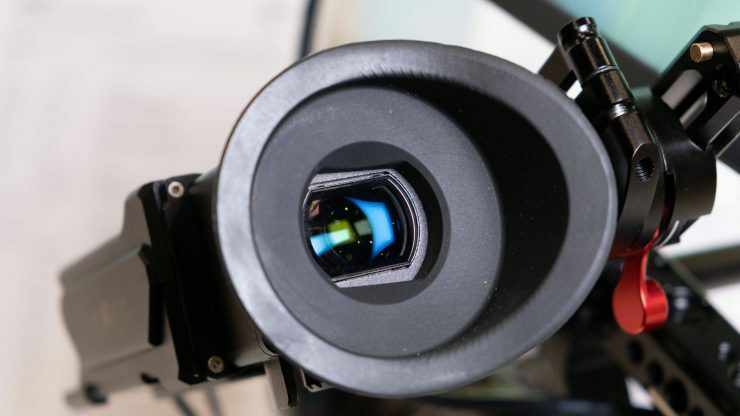 The EVF has a full HD 1920 x 1080 OLED and delivers a sharp image making focusing easy. The color looks good as well. 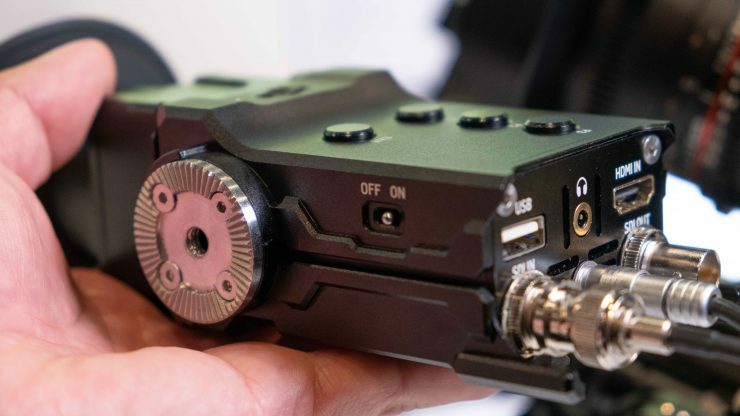 The OEYE-3G has SDI and HDMI with looping capability so you can feed the EVF with SDI and send the signal out as HDMI. It does support 4K input, however only at 24fps. 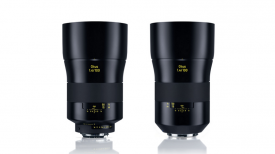 The diopter range is +8D~-3D. I wear +2 reading glasses and still have some range left. 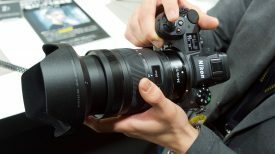 The lens does have some distortion when not looking directly in the center but I didn’t find it distracting. 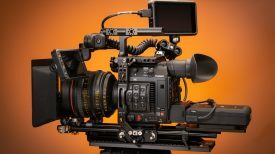 By way of comparison this is also present in the Zacuto Gratical. The build feels solid. 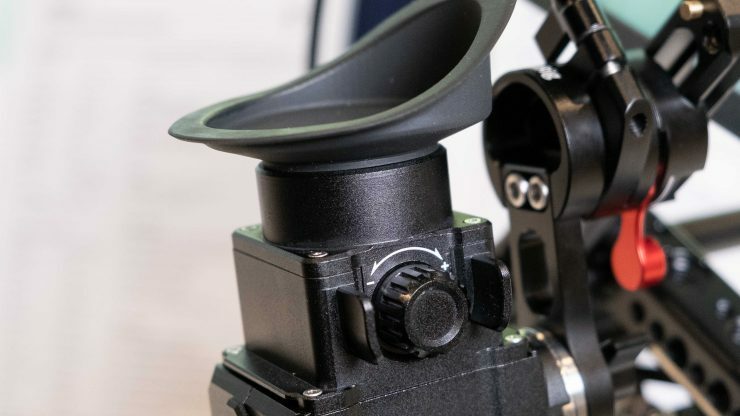 To mount the EVF there’s an ARRI rosette on the side and a 1/4″- 20 tap on the bottom. There is also a raised area for a hardware mounting solution that will be available from Portkeys after release. There’s an on/off switch on the side and that’s a nice feature so you won’t accidentally drain the camera battery when not in use. I like the headphone jack on the back for monitoring audio. This keeps the cables to a minimum when mounted. 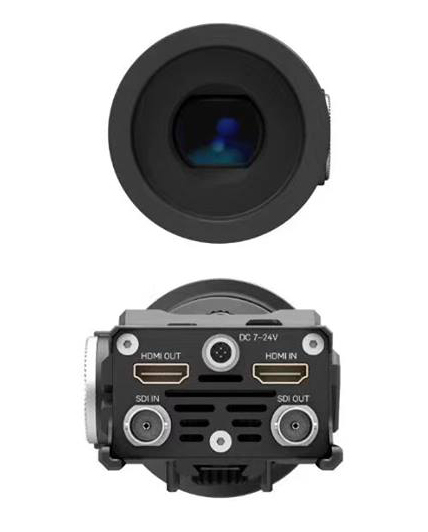 I did notice some latency on the OEYE-3G EVF. Portkeys told me they are still tweaking the hardware for better performance. If you shoot Log you can load up some LUTs and select up to 30 different looks. 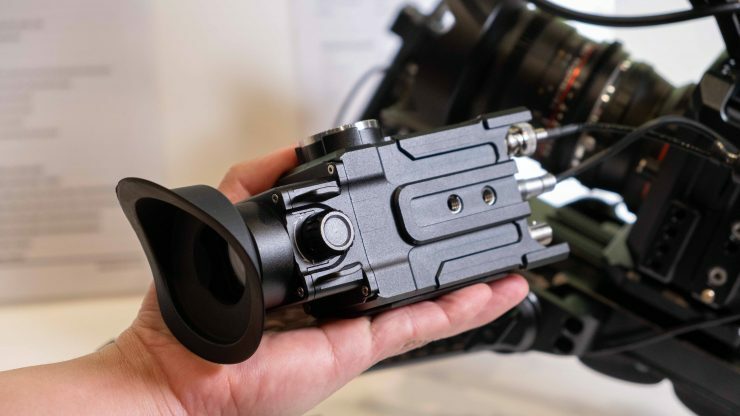 Powering the EVF requires an external solution though – you can’t attach a battery directly to the EVF. 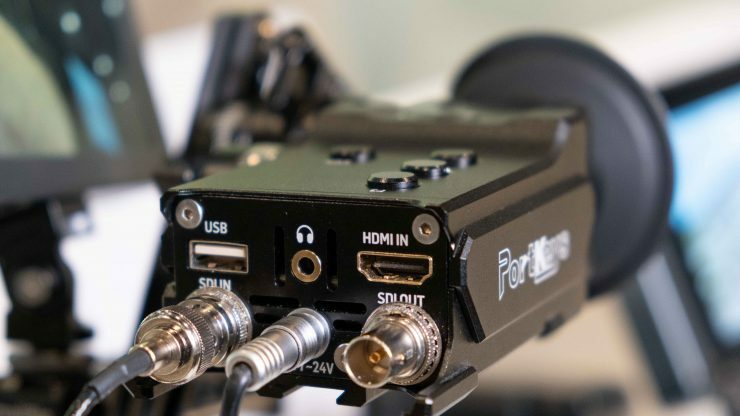 Lots of options for I/O – HDMI and SDI can crossconvert, although you’ll need an external source of power. 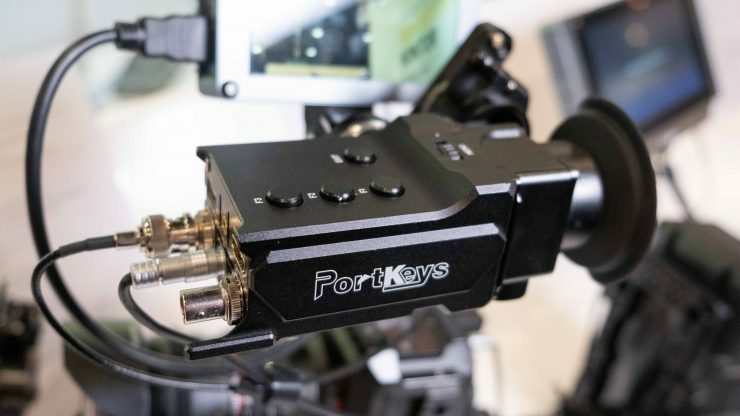 The Portkeys OEYE-3G EVF will retail for $1,199 US and will be available June.